Grey Box - Westringia fruticosa ‘WES04’ is the smallest cultivar of the popular Westringia varieties available. It is slow growing and will take a few years to reach its mature height of 40cm. 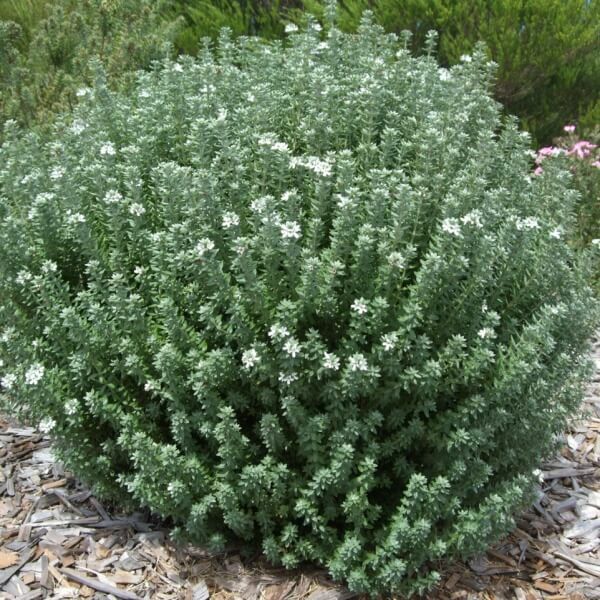 It has very compact foliage and can be trained as a hedge as low as 25cm. 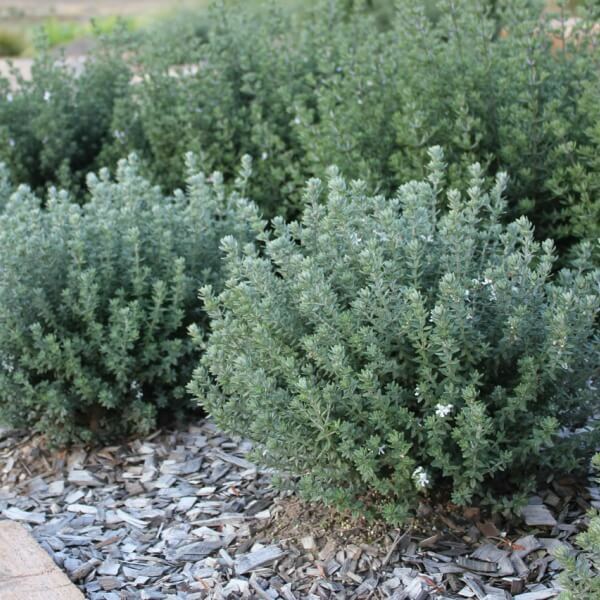 It is salt tolerant making it suited to seaside coastal gardens. Grey Box will grow is a wide range of free draining soil types and a wide range of climates. Because they are great hedging plants they will fit with native styled formal gardens. If left unpruned it will grow 30cm to 40cm X as wide. 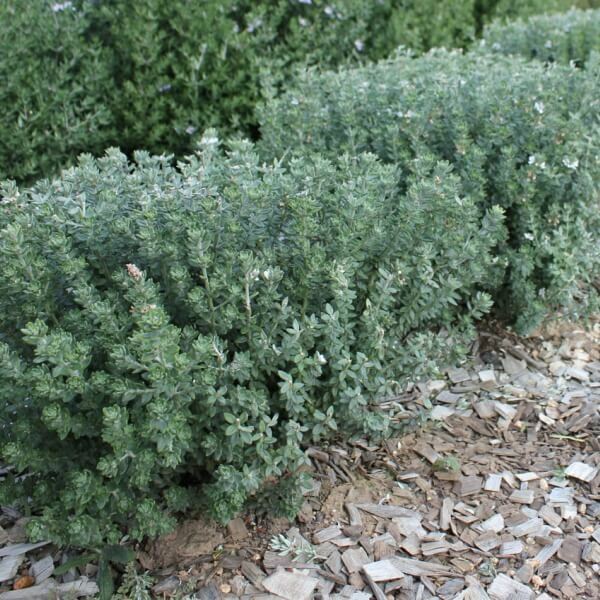 It can be pruned as low as 25cm for a small garden border hedgeto 30cm. 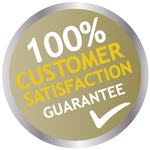 Trim to shape to form a compact hedge, or left unpruned trim to keep the small bush tidy.